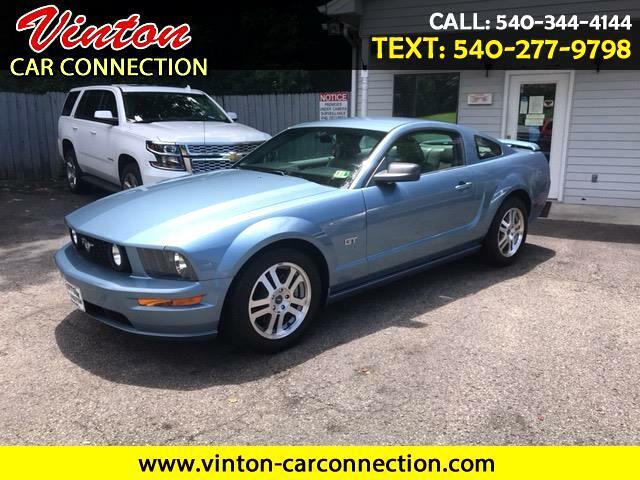 Vinton Car Connection is offering this (hard to find unmolested)2005 Mustang. A complete redesign for 2005, the two-door coupe pony car from Ford is available in the Deluxe package trim-level offered in the Coupe model, with the GT stepping the power up to a 4.6-liter V8 that cranks out 300 horsepower. A five-speed manual transmission is standard .Just inspected and serviced this little GT is ready.I have always been a fan of the mustang and will be driving this as much as i can.We have been in business over 40 years and rely on repeat customers for most of our business.We are AMERICAN owned and operated .We look forward to serving you.